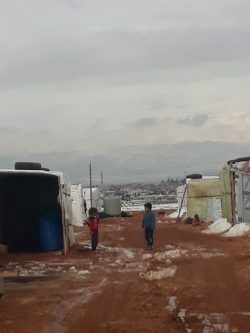 Beirut – Over the last few weeks, a series of major storms, Norma and Miriam – causing high winds, heavy snow and rainfall, flooding, and below average temperatures – have had devastating impacts for the refugees JRS serves in Lebanon. The regions that experienced the greatest impact were in the Eastern part of Lebanon, including two places where JRS serves, Bar Elias and Baalbek. 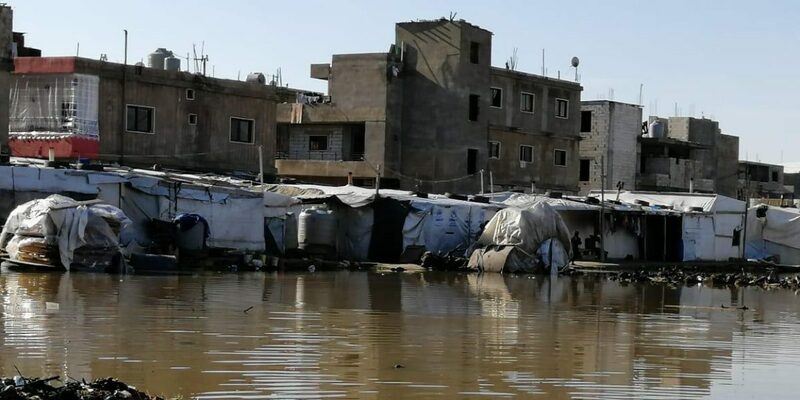 The storms have had devastating effects on thousands of refugees living in informal tented settlements in Bar Elias, located near the Syrian Border in the Bekaa Valley, Lebanon. Many of the temporary shelters and tents were completely ruined, with the shredding of plastic covers and roofs and flooding throughout the settlement. When the storms hit, refugees fled from their homes in search of shelter and safety. JRS has three schools in Bar Elias, in collaboration with Kayany Foundation, which were used to as a temporary shelter for families. During the first storm, about 160 women and children took shelter in the JRS school closest to the worst flooding. 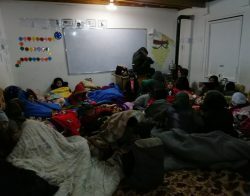 During the second storm, JRS also sheltered a number of families, while, in coordination with other NGOs, provided blankets and mattresses. JRS also provided heating and food provisions throughout its response. The conditions caused by these storms for refugees in Baalbek, also located in the Eastern part of Lebanon in the Bekaa Valley, have been reported by JRS teams as “miserable.” Many of the refugees living in in the informal settlements, including Addous Camp, where JRS provides services, lack main winter provisions including warm clothing, boots and fuel for heating. Temperatures have dipped far below freezing at night. JRS has responded by providing the families we serve with winter provisions, food, and heating, but the needs in the affected areas are great. Though the weather is holding for the moment, JRS continues to respond to the devastation that the storms created. The needs for food and fuel for heating continue, and refugees are faced with having to rebuild the structures damaged by the storm. 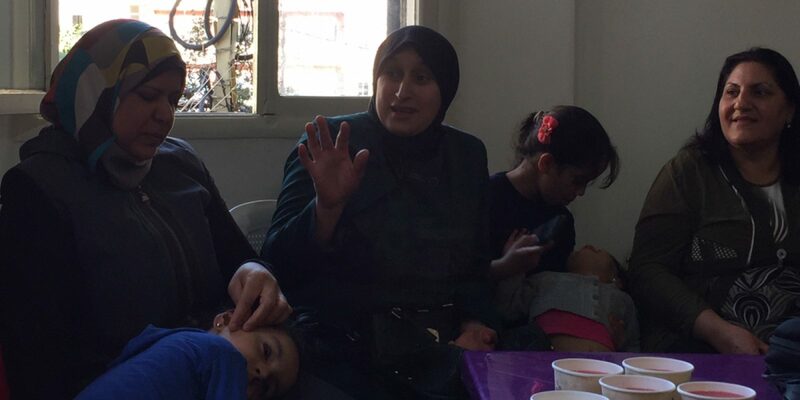 JRS provides a variety of services to refugees in Lebanon, which hosts close to 1 million Syrians and the 4th largest refugee population in the world. JRS services including education support to urban refugees in Beirut as well as refugees living in informal tented settlements in the Bekaa Valley. 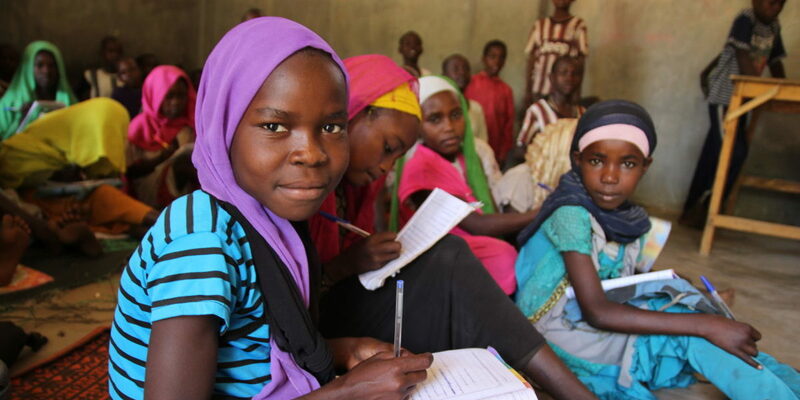 These programs include formal education from Kindergarten through 8th Grade as well as critical learning support programs to enhance educational services offered to refugees enrolled in the public school system. These programs offer homework support, tutoring and language classes. JRS also coordinates social centers for refugee women – providing women opportunities to learn a vocational skill, life skills, and psychosocial support. Learn more about JRS Lebanon.